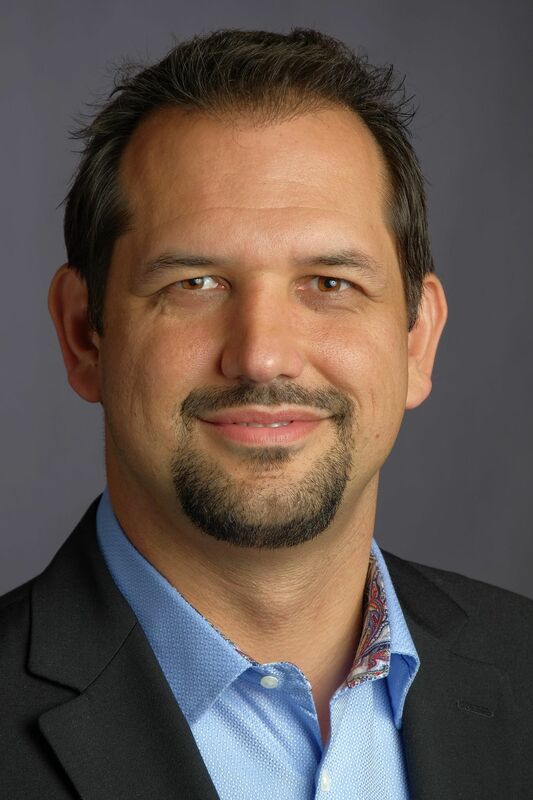 Bible Gateway interviewed Abdu Murray (@AbduMurray) about his book, Saving Truth: Finding Meaning & Clarity in a Post-Truth World (Zondervan, 2018). What have you observed that prompted you to write this book? Abdu Murray: A few things got me concerned about the way Western culture is viewing the very ideas of truth and clarity. As I speak on university campuses across North America, I’m seeing how the questions students ask have shifted away from factual issues, like evidence for the resurrection, to social and cultural questions that focus on human ability to define reality. Questions about sexual, gender, and religious identity seem to dominate. I’m seeing this in my one-on-one conversations, too. What’s emerging isn’t a quest to find out the facts that might give credibility to the gospel, but a quest to see if the Christian message can actually compete with a secular view that humanity is the determiner of right, wrong, and a better society. In other words, what I began to see was that people have taken to the idea that humanity can replace God. The second thing I noticed is that confusion has now morphed into a virtue. Those who are confused sexually are labeled heroes. Those who see morality as a fuzzy category are considered progressive. And those who are confused about religious claims—saying that all paths are equally valid roads to God—are considered “tolerant.” But those who are clear on these matters are not treated so charitably. If someone is certain or clear on sexual boundaries, that person is a bigot. If a person is clear on the existence of objective moral values and boundaries, that person is regressive. And if someone clearly understands that different religious paths can’t possibly all lead to God, that person is considered intolerant. In other words, confusion has become a virtue and clarity has become a sin. The results of this are becoming more and more evident. Truth is no longer the standard for our discussions. We’re beginning to lose our ability to reason. We’re beginning to lose our integrity. And as we elevate ourselves to godhood, we’re losing our sense of moral accountability and human value. 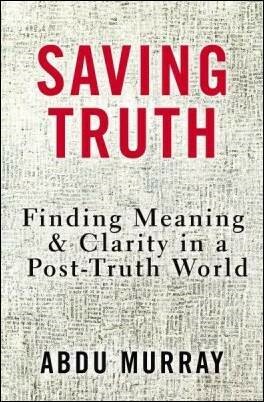 I wrote Saving Truth to diagnose how this has happened and how we can make clarity and truth attractive to culture once again. How do you define truth?Abdu Murray: Simply put, truth is that which conforms to reality. There are historical truths, moral truths, scientific truths, and spiritual truths. And all of them must be coherent and cohesive. In other words, if our worldview is true, what we learn from history and science ought to complement each other. Spiritual truths also ought to complement other areas of truth. But fundamentally, truth is objective. By that I mean that it doesn’t depend on human opinion. I believe it was Os Guinness who said that truth is true even if no one believes it and falsehood is false even if everyone believes it. The Christian faith is one based on the historical claims found in Scripture, particularly Jesus’s resurrection, and we see that history corroborates that fact. It’s also backed up by scientific discoveries about the universe’s beginning and its fine tuning for life. And the philosophy found in Scripture, which unfolds who we are, who God is, and what it means to be in relationship with him, is rich and robust. What does “post-truth” mean and what are its two modes? Abdu Murray: Oxford English Dictionaries designated “post-truth” as its 2016 Word of the Year. It’s actually not a new word, having been coined likely in 1992. But in 2016, it was used 2,000% more than in the previous years. According to Oxford Dictionaries, post-truth relates or denotes circumstances in which objective facts are less influential in shaping public opinion than appeals to emotion and personal beliefs. In other words, feelings and preferences matter more than facts and truth. This is different and more problematic than postmodernism. Where a postmodern person might say, “There is no objective truth,” a post-truth person might think “there is objective truth, but I don’t care because my personal feelings and preferences matter more.” Anyone who brings facts that challenge those feelings or preferences is labeled as a “hater” or something similarly derogatory. One mode of post-truth is the “hard mode.” By this I mean there are those whose personal preference to have their social or political agenda is so strong, they’re willing to twist the truth or even spread falsehood to get progress for their agenda. Usually, this can be addressed by bringing facts and logic into the discussion. But post-truth’s “soft mode” is actually more problematic. In that mode, people don’t so much lie about facts, as they simply ignore them or make their preferences matter more. In the soft mode, if someone brings facts that challenge another person’s feelings or preferences, the one who brought the facts is labeled as a “hater” or something worse. And so facts and logic won’t be persuasive at the outset because they’re ignored or shouted down as tools of the intolerant. In Saving Truth, I try to provide a roadmap for how to deal with this more difficult soft mode of post-truth. Why is it important that truth exists and that it be acknowledged?Abdu Murray: Logically, truth is inescapable. The moment someone makes a claim, they’re invoking the truth. If, for example, someone claims there’s no truth, one can simply challenge that by asking “Is it true that there’s no truth?” If it’s true, then truth does exist. If it isn’t true, then the claim is meaningless. We simply can’t live in a culture that denies objective truth or subordinates the truth to feelings and preferences. If personal preferences and feelings are all that matter, then the world will be chaotic. We’d never go to a cancer specialist who denies that truth exists. We surely hope that the architects of our skyscrapers believe that physics and metallurgy contain truth. And we ought to care whether our politicians, our ministers, our friends, and even we ourselves acknowledge and love the truth. Why do people work to avoid truth? Abdu Murray: When truth is convenient for us, we become its champions. But when the truth costs us something, we try to avoid it and rationalize our way around it. It’s just a part of the human condition to avoid, and even reject, truth when it isn’t comfortable or convenient (2 Thess. 2:10-11). But truth-less comfort will not last. C. S. Lewis put it well when he said that if we look for truth, we may find comfort. But if we look for comfort, we will get neither truth nor comfort—only soft soap to begin with but in the end, despair. I certainly can understand that. For most of my life, I wasn’t a Christian. I held to the Islamic worldview. Embracing the truths of the Christian faith would cost me some things in my life, not the least of which was my religious identity. It took me nine years to embrace the gospel—not because the answers were hard to find, but because the answers were hard to accept. Yet gloriously, in Christ we have one who’s both the truth (John 14:6) and the God of all comfort (2 Cor. 1:3) who helps us to embrace the truth, no matter the cost. How has the church joined the culture of confusion? Abdu Murray: There’s this oft-repeated principle within Christian circles: The church should be “in but not of” the outside culture. Sadly, I think that in our increasingly polarized society, the church has become both “in and of” the culture in some disappointing ways. The culture of confusion is one that elevates feelings and preference over facts and truth. That’s how we get “fake news” and fuzzy moral standards. More Christians than I’d care to admit have joined and perpetuated this phenomenon by sharing stories across social media that either are outright untrue or are misleading. The goal here is to make “the other side”—particularly liberal non-Christians—look as bad as possible. But there are also Christians who have the polar opposite approach. They don’t want to disagree with anyone, and so they actually compromise biblical standards to make non-Christians as comfortable as they can be. I think of the oft-misused words, “Judge not, that you be not judged” (Matt. 7:1). Sadly, too many Christians use this passage to argue that Christians should not judge anyone’s behaviors or moral choices. Of course, they fail to cite the rest of the passage, in which Jesus clarifies that “when we judge” we’re to do so unhypocritically. The church’s two opposing preferences—to vanquish our enemies on one hand and to be liked be everyone on the other—have led the church into confusion. The Bible calls us to be uncompromising on the truth, but to express the truth to non-Christians with love, compassion, and respect because we ourselves were among those who rejected the truth (Titus 3:1-7). We can rise above the post-truth culture of confusion by living in that tension. What do you mean that “autonomy is confused for freedom”? Abdu Murray: The seed for the post-truth mindset is the human desire for autonomy. We’ve confused autonomy with freedom, thinking they’re synonymous when they’re not. Autonomy is the state of being a law unto one’s self (“autos” meaning self and “nomos” meaning law). Someone who’s autonomous is a law unto themselves and so he has no restraints whatsoever. An autonomous person can do or be whatever he wants, whenever he wants, however he wants. That ultimately leads to total chaos because if I’m a law unto myself and another person’s “law unto themselves” conflicts with my law, who will decide who’s right? It won’t be truth, it’ll be chaos (see Judges 17:6; 21:5: “In those days there was no king in Israel. Everyone did what was right in his own eyes”). But true freedom is different. It requires boundaries; specifically the boundaries of truth and facts. As Chesterton pointed out, we don’t have the freedom to draw a giraffe with a short neck. Freedom entails limits. True freedom is not the unfettered ability to do, say, or be whatever we want in any way we want. True freedom is the ability to do what we want, in accordance with what we should, based on what we are. What we are is children of the Most High. That’s exactly why Jesus says that when we know the truth, the truth will set us free. What did Jesus mean in John 8:32? Abdu Murray: When Jesus said that “you shall know the truth, and the truth shall set you free,” he was perhaps saying one of the most profound things ever uttered in history. That’s not an exaggeration. In fact, there’s so much in just that phrase that one could write an entire book based on it (pun intended)! Jesus linked truth with freedom. When we know the truth, we’re truly free. That’s the first coupling Jesus makes. But just a few verses later, he makes another astonishing coupling. He says, “So if the Son sets you free, you will be free indeed” (John 8:36). Jesus said in verse 32 that the truth would set us free and in verse 36 he says that the Son sets us free. Coupling them together we see that the Son is the truth. In the person and work of Christ, we see the truth that we’re made in God’s image meant to commune with God, that we’ve forsaken that purpose, but that in the Son, God has provided a way to restore our purpose. That truth sets us free to be who and what we were meant to be. Abdu Murray: There are so many, but I’d like to mention two. First, when I was exploring whether the gospel is true, I found so much beauty and truth in Romans 5:8. As a Muslim, I believed that God is the greatest possible being (which is why Muslims often say “Allahu Akbar,” which means “God is Greater”). It occurred to me that if God is the greatest possible being, he would express the greatest possible ethic (which is love) in the greatest possible way (which is self-sacrifice). That in Romans 5:8, we read exactly that: “God shows his love for us in that while we were still sinners, Christ died for us.” There it is: the Greatest Possible Being expressing the greatest possible ethic in the greatest possible way. And then there’s Colossians 4:5-6, where the apostle Paul beautifully describes how we’re to communicate the beauty and truth of the gospel. He tells us to walk in wisdom toward outsiders, making the best use of the time. In other words, find out what other people care about, what their real questions are. Often, Christians are answering questions people aren’t asking. They’re answering questions they wish people would ask. But when we listen carefully we can find boulevards for the gospel and address the person’s actual concerns in intelligent and emotionally impactful ways. We don’t ignore people’s preferences and feelings. We try to show how the truth is what should influence and perhaps change those preferences and feelings. Apologetics (1 Pet. 3:15) is the art and science of Christian persuasion. But when we answer questions no one asked or give them a fire hose of our opinions, we transform it into the art of making someone sorry they asked! Paul closes his thought with this: “Let your speech always be gracious, seasoned with salt, so that you may know how you should answer each person” (Col. 4:6). That final word is important. Christians are not to answer questions. We aren’t to answer controversies or even objections. We’re to answer people, because questions don’t need answers, but people do. We need to show others that we understand where they’re coming from, especially when we don’t agree with them. Then, by asking questions of our own, we can get others to see that God’s word is not about arbitrary restrictions on freedom, but is the source of true freedom. When we see another person not as a debate opponent but someone for whom Christ died to save, we can more compassionately convey the gospel message in a way that speaks directly to that person and their struggles without compromising the unchanging truths of Scripture. What are your thoughts about Bible Gateway and the Bible Gateway App? Abdu Murray: Both the website and the Bible Gateway App are so valuable. What I love about them both, especially the App, is that we can have the Word of God at our fingertips, searchable and with study helps and resources. How often have we engaged in spiritually important conversations, only to find our Bible or commentaries aren’t readily at hand to help us express the gospel clearly? The website and the App directly address such situations by giving us access to the truth that sets us free. Saving Truth is published by HarperCollins Christian Publishing, Inc., the parent company of Bible Gateway. 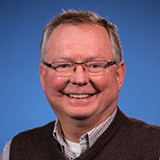 Bio: Abdu Murray is North American Director with Ravi Zacharias International Ministries and is the author of Saving Truth: Finding Meaning & Clarity in a Post-Truth World, Grand Central Question: Answering the Critical Concerns of the Major Worldviews, and Apocalypse Later. For most of his life, Abdu was a proud Muslim who studied the Qur’an and Islam. After a nine-year investigation into the historical, philosophical, and scientific underpinnings of the major world religions and views, Abdu discovered that the historic Christian faith can answer the questions of the mind and the longings of the heart. Abdu has spoken to diverse international audiences and has participated in debates and dialogues across the globe. He has appeared as a guest on numerous radio and television programs all over the world. Abdu holds a BA in Psychology from the University of Michigan and earned his Juris Doctor from the University of Michigan Law School. As an attorney, Abdu was named several times in Best Lawyers in America and Michigan Super Lawyer. Abdu is the Scholar in Residence of Christian Thought and Apologetics at the Josh McDowell Institute of Oklahoma Wesleyan University.